Precision tools are necessary for a well-done job. 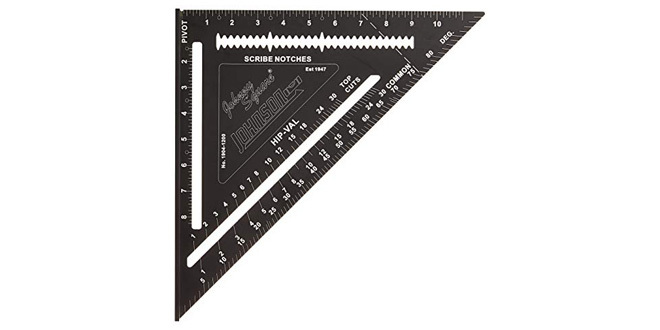 The 12-inch Rafter Johnny Square has been designed with builders in mind. Constructed of durable, lightweight aluminum, the square holds up and maintains accuracy under heavy use. The EZ-Read™ finish makes reading measurements simple, even in direct sunlight. Johnson Level & Tool Mfg. Co.